The lead most trainers prefer. 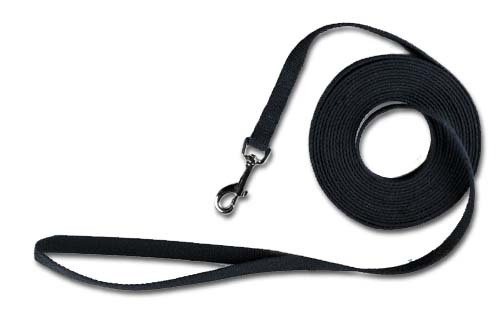 Made of extra-strong cotton webbing. These leads are cooler, softer, and less abrasive on the hands. Heavily stitched at hand to hold and snap for maximum strength. Nickel plated swivel bolt snap on end.